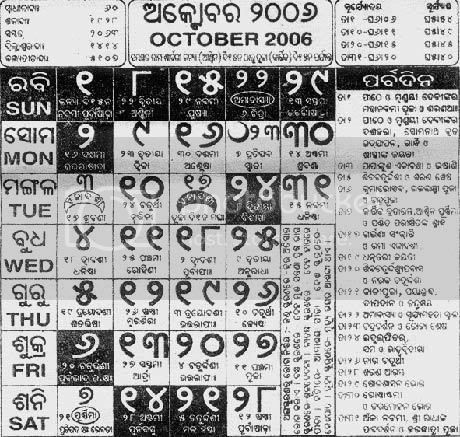 Here is the Oriya Calendar (Paanjika) for October 2006. 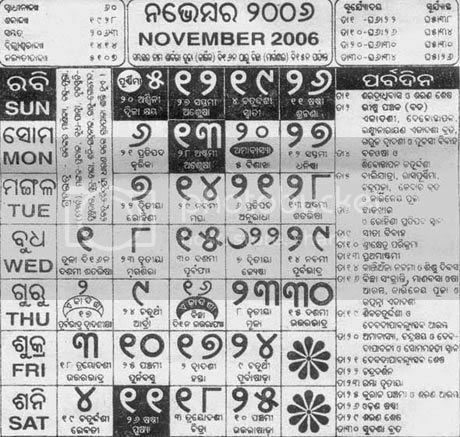 Oriya calendar for November 2006. 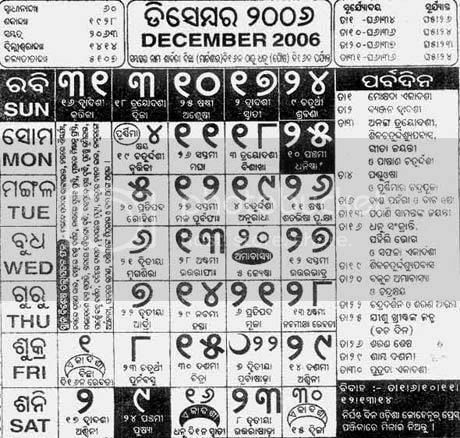 Oriya Calendar for December 2006. Really nice. It will help me a lot as I am now in Switzerland and one of my friend always alerts me before any oriya festival. Now I can refer this calenders. Thanks a lot. Nice effort Saw an oriya calendar after months. I would liek to inform you all that now you can also download the latest year 2007 Calendar in Odia with all the festivals and lists of events with holidays from my website of "Aahwaan" the first and only e-Magazine in Odia. Founder, Editor, Web Master "Aahwaan"
It's already 2007 april and please add pages for 2007 oriya calendar in place of 2006 on the first page. Thanks.